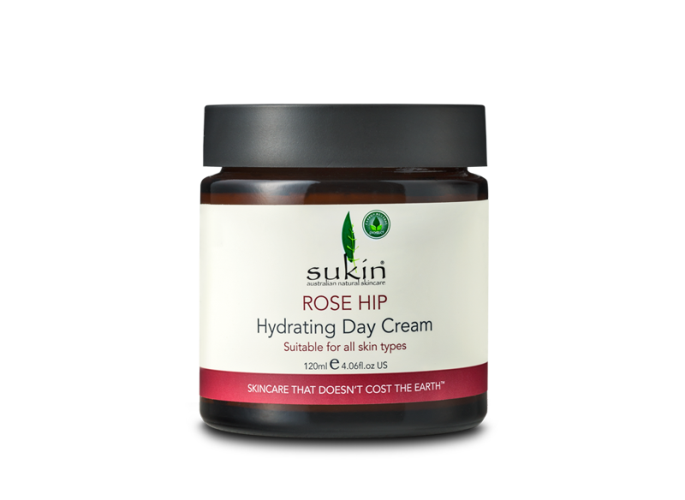 Save 10% off RRP on the popular Sukin Rose Hip Oil and Sukin Rose Hip Hydrating Day Cream below - take advantage of this great offer today! 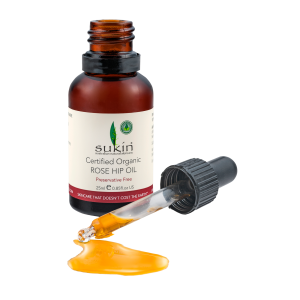 Sukin Organic Rose Hip Oil is 100% Certified Organic and one of Sukin's best selling products. Sukin Rose Hip Oil is suitable for all skin types especially mature and problem skin conditions. Sukin Certified Organic Rose Hip Oil contains no less than 80% essential fatty acids and vitamins that help soothe, soften and hydrate the skin. 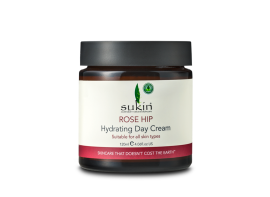 The Sukin Rose Hip Hydrating Day Cream is an intensive moisturiser suitable for all types of skin. 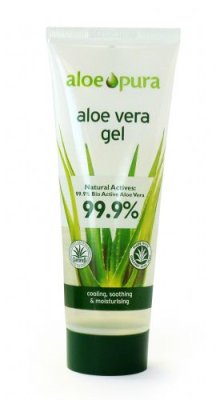 Containing Rose Hip Oil and Pomegranate to help combat dry skin conditions. See the full range of Sukin products available in the UK at our Wells and Frome retail shops in Somerset, where you can also try our Sukin Rose Hip Oil and Day Cream testers and many others too! 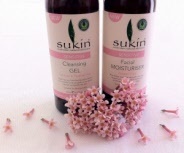 100% Certified Organic and one of the best selling in the Sukin range. Skin conditions such as eczema, psoriasis, rosacea and dermatitis can make skin unpredictable and these conditions can often be exacerbated by the use of harsh cleansing agents and additives leading to breakouts and irritations. Sukin sensitive range may help to calm the skin.